Walking a 3 legged cat gives one plenty of garden inspection time. 1. 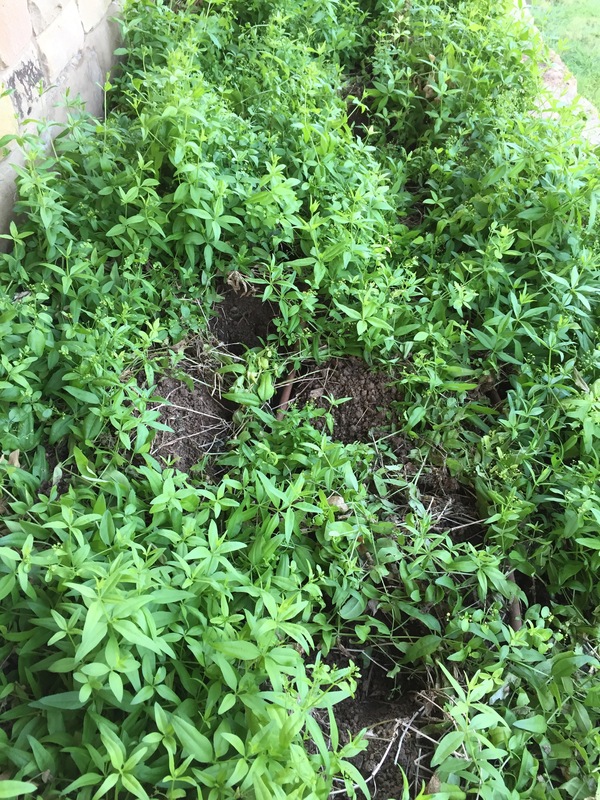 The raccoons have been digging in the madder & japanese indigo beds. Where’s my live trap?! But who can blame them digging up the irrigation lines for water. 2. 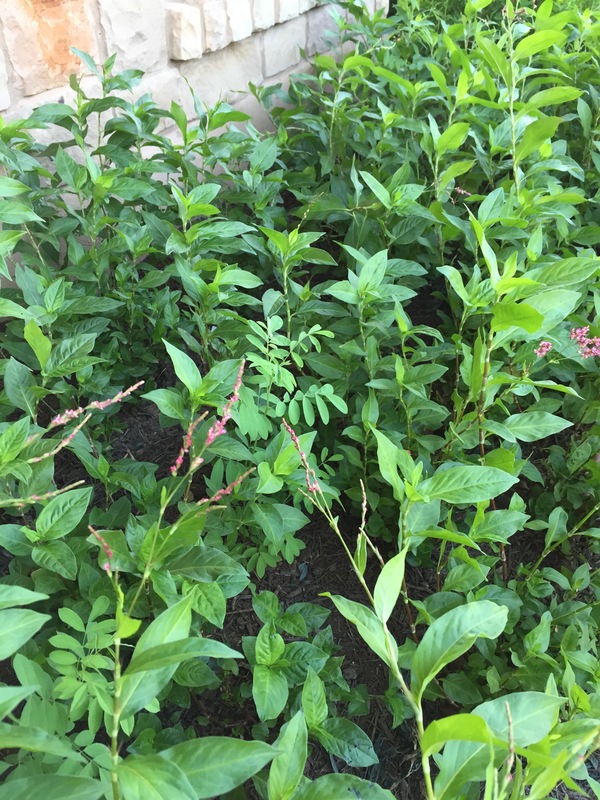 The Japanese Indigo is coming into bloom and the Indigo Suffricotosa planted among the JI is coming along. Will be interesting next year to see if they can coexist in the summer heat. 3. 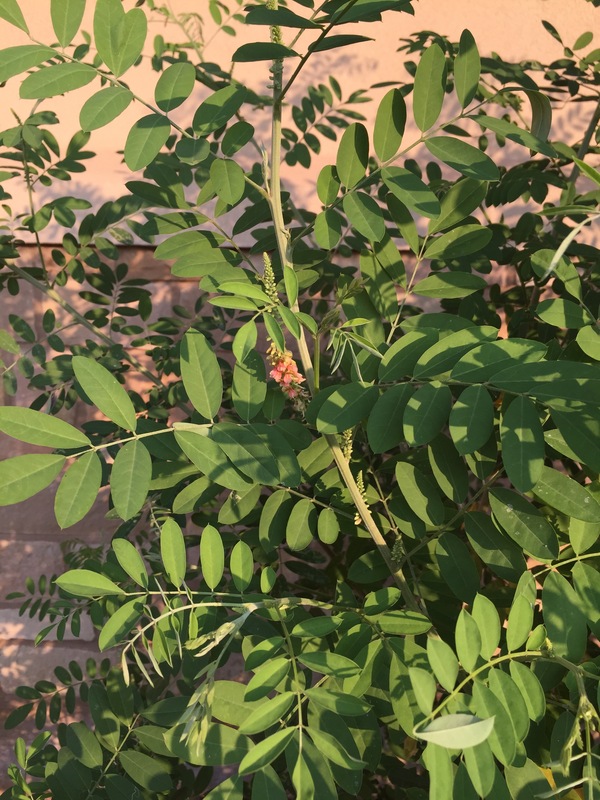 The indigo suffruticosais also coming into bloom and seed. Last year’s plants yield great color and this year’s small plants yielded color also. 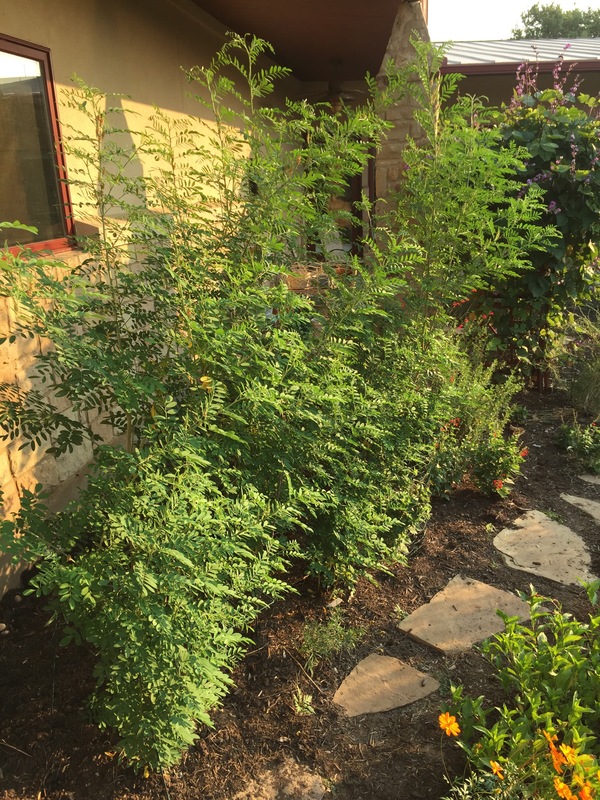 I will say these plants got way bigger than expected but my husband has given them a pass because the hummingbirds use them as a frequent garden perch. 4. 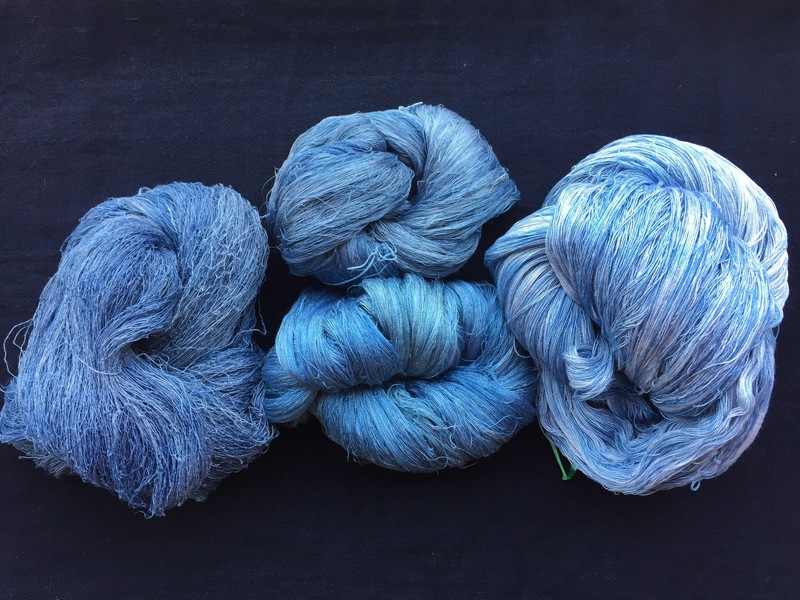 Finally the color, I had friends over to do Japanese Indigo blender dye scarves and had plenty dyebath left over. 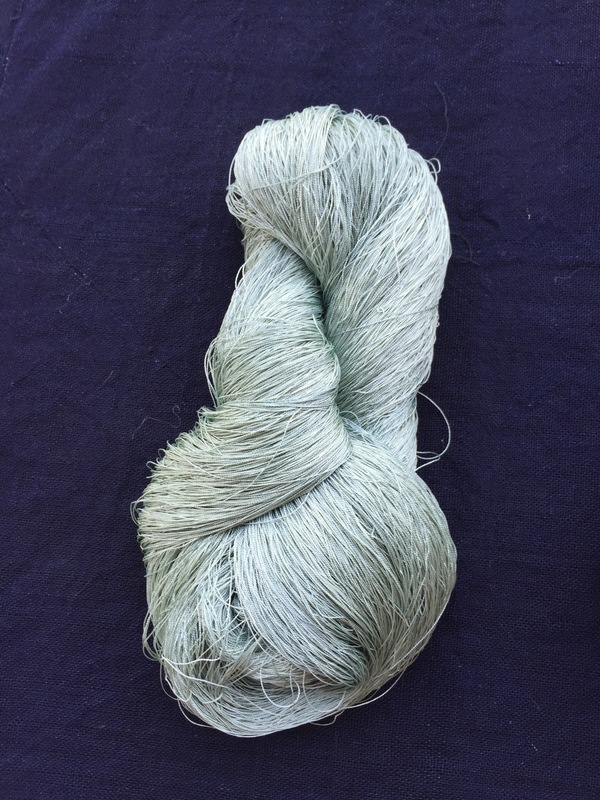 I had a mordanted silk skein on hand and left it in the dye bath. A beautiful mint green resulted, not sure my camera registers the color well. It is deep mint green. And the indigo suffruticosa yield this color in 2 dips after a thio extraction. The skein on the right was a leftover larger skein which I put in to exhaust the extracted bath. It will go back into the next indigo bath to darken it. I did many other skeins. I’ll update my leaf to substrate ratio for this bath when I am near my notes. 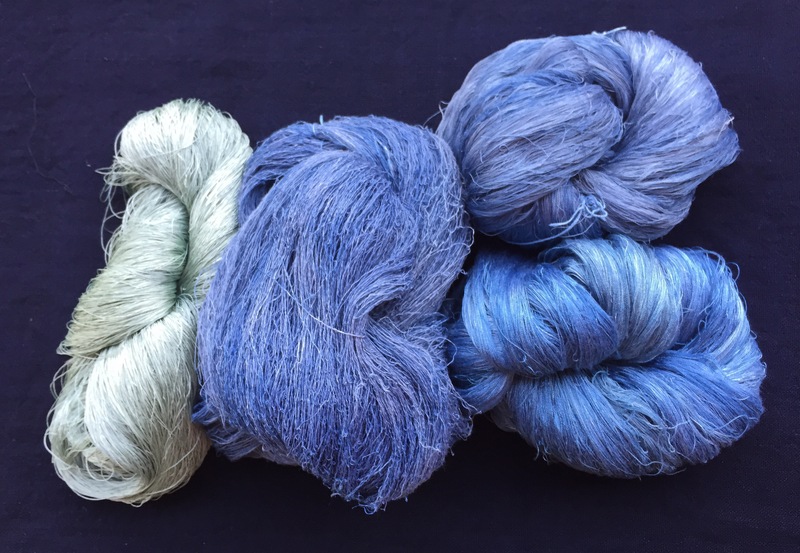 One of the things to remember when you are leaf dyeing over the growing seasons is that your skein might revisit baths over the growing sesson in order to build color layers.